We serve this dessert at our Yoga Goddess retreats because it is DELICIOUS! But since we don’t have any near-future reatreat plans we want to let you in on the yummy-ness now. This recipe is ideal for chocolate lovers single or coupled, especially if passion is on the menu. For more relationship intimacy enhancing tips check out my program Sensual Magic to reclaim passion and rekindle relationship intimacy. 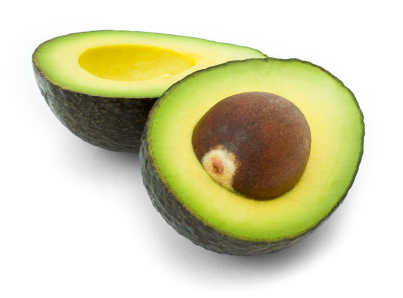 Slice each avocado open and scoop out the insides. 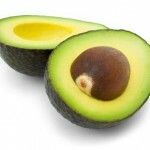 Place the inside in a food processor or blender. Next add the sweetener, vanilla, and cocoa powder. Blend or process the mixture until fully blended. The mixture should be smooth and the color of chocolate. 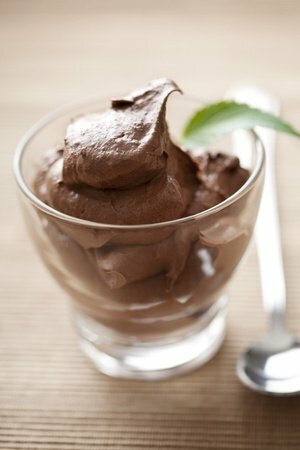 You can instantly serve the mousse, although it will taste even better after chilling for at least an hour. To impress dinner guests even more, serve with fresh berries and mint. And if you’re feeling romantic we invite you to tell us what wild and sensual things you can imagine doing with this mousse…mmmm, ideas?